Rep rounds 1-4 for desired length. Pull yarn through last stitch & sew in ends. Make a second cuff the exact same way. Pattern Notes: Can be adjusted to be used on straight needles. Knit as many rounds as needed for length. [I repeated the pattern 6 times for a short cuff.] Amount of stitches would need to be adjusted in multiples of 10. This pattern fits standard adult size. Very simple pattern! I wanted to created a boot cuff with a nice texture that had cables as well. You can of course adjust this pattern so that it looks however you want! I made these as a gift for a friend 🙂 This color reminds me so much of them. 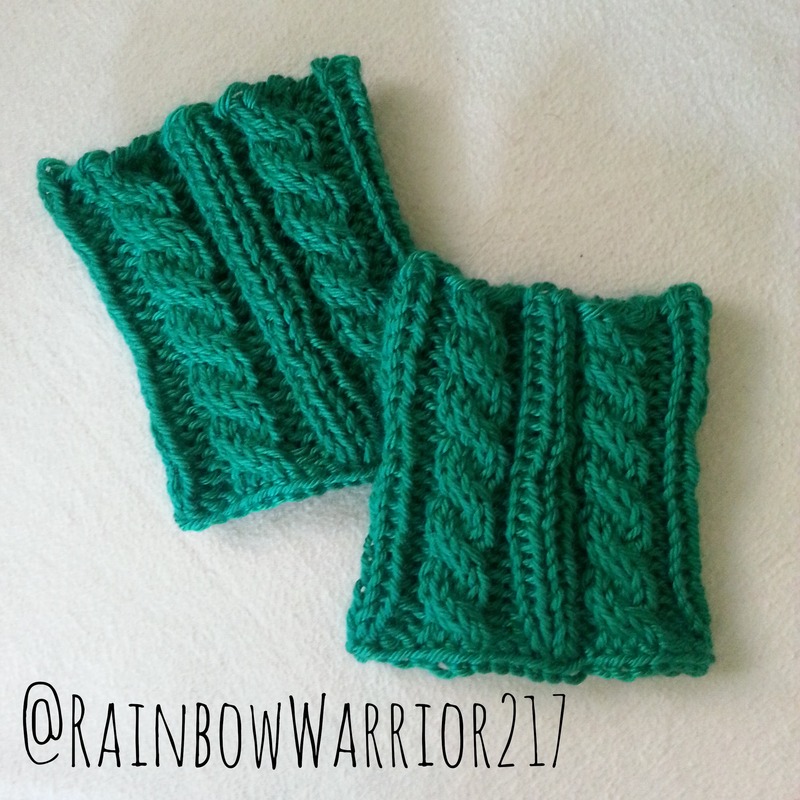 I previously had made them a crochet beanie in this color & hopefully they will enjoy these matching boot cuffs! Posted in Knitting PatternsTagged boot cuffs, knit pattern, knittingBookmark the permalink.